Havana: She needs help sitting down, but no sooner has she done it than Alicia Alonso is tapping her foot three times and giving orders in a good-natured but authoritative tone. 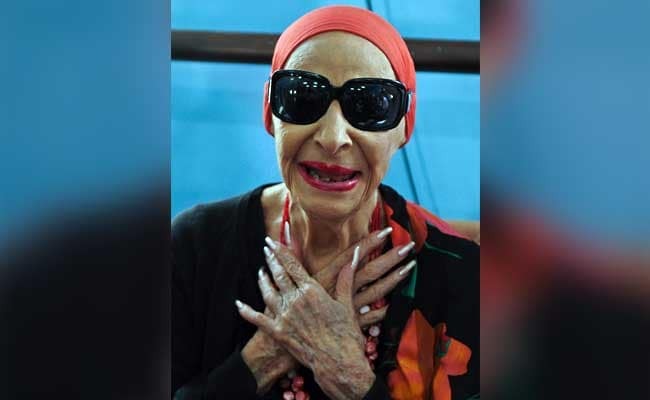 At age 96, the Cuban ballerina, one of the most revered dancers of all time, is blind and frail. But she hasn't lost a step, or her outsize role in Cuban ballet. "Ready to start? Let's start!" she says in a firm voice, opening a rehearsal on the second floor of the National Ballet of Cuba -- which she launched together with her first husband, Fernando Alonso, and which she still directs. Before her, the multi-racial company is practicing "The Nutcracker," which it will perform on January 1 to commemorate the 58th anniversary of the Cuban Revolution. Alonso cannot see the dancers, but she imagines every movement. "I dance here, in my mind," she often says. 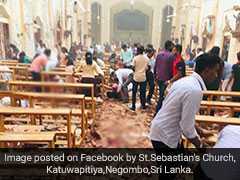 Ever flamboyant, the woman nicknamed the "prima ballerina assoluta" is wearing enormous sunglasses, bright red pants and a headscarf to match, with fuchsia lipstick and long, pink nails. At her side, two dancers whisper every move in the choreography. Alonso, who danced much of her career sightless after suffering a detached retina as a young woman, traces out giant movements in the air with her hands. "You're doing something that has to be eternal, eternal, and reach the entire world," she tells her young dancers. "You have it in your hands, your bodies, your faces. And you have the happiness to do it," she says, adding: "How I envy you!" 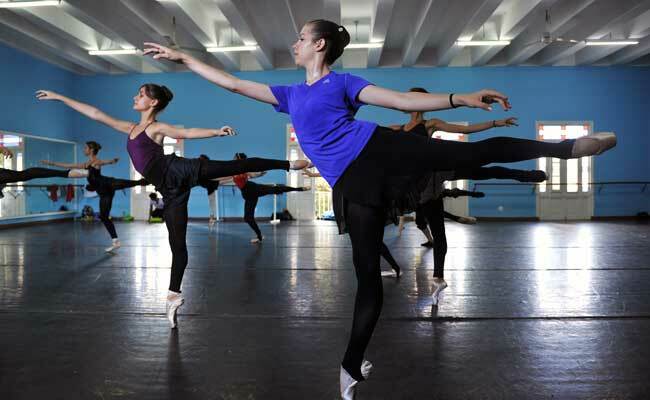 Alonso, who turned down myriad offers to leave Cuba throughout her career, has created a unique school of ballet on the island, instantly recognizable with its blend of classical style and Latin sensuality. At nearly 100 years old, she is a legend. It was a lifetime ago that Alonso -- born Alicia Ernestina de la Caridad del Cobre Martinez del Hoyo -- began seducing audiences with her exuberant steps. A disciplined but feisty dancer, she conquered Havana, New York, and a host of European capitals, then went on to become a renowned choreographer, known for making her dancers rehearse to the point of perfection. She has faced criticism in some quarters for her close relationship with the communist regime of late revolutionary leader Fidel Castro, whose backing was instrumental in the launch of the National Ballet. But her status as an icon is beyond question. Among her long list of roles, she is best remembered for dancing "Giselle," the French romantic ballet that made her an international star. But admirers also wax poetic on her "Cuban version" of classics like "Carmen," "The Sleeping Beauty," "Coppelia," "Swan Lake" and "The Nutcracker." Viengsay Valdes, Alonso's current prima ballerina, recounts how she was once invited to Russia to dance "their version" of "Carmen." She insisted on dancing Alonso's instead. "I defend all her work, everything she's created," Valdes told AFP. Another one-time protegee, Aurora Bosch, who is now 74, recalls how Alonso lured male dancers to join the company in this country where the culture of machismo runs deep. "She would tell them we were doing fencing classes," she says. "When they would start rehearsing ballet steps, they would say, 'Wait, where's the sword?'" But drawn in by Alonso's magnetism, they would eventually relent and stay. "And today, our school, our way of dancing, stands out in large part because of our male dancers," says Bosch. Alonso hung up her ballet slippers in 1995, at the age of 75 -- nearly 60 years after making her debut on Broadway in 1938. The newest generation of Cuban talent has never seen her dance. But the reverence remains. Patricio Reve, a rising star at 18 years old, says he has retained one great lesson from the company's founder. "Alicia always insists on the need to dance and defend the Cuban school."